Tips for Hajj and Umrah Travel, packing list, dos and donts of Hajj. When you travel for the holy land of Mecca & Madina is great journey that is not only far off but is also a journey that reminds us of after life and our duties to the people behind us. According to Islam you should clear all your liabilities and pay off all your dues before the spiritual journey. You are also bound by Islam to write a Will before you leave. Download a Sample of Islamic will for you and print it. One or two Extra Travel Bags this is for when you go to some place for a longer period or for bringing gifts on way bak. Face cream or cold cream or Patroleum Jelly Its very hot but due to Air-conditioning its also very dry. Some of the other things you need to make sure you know. If you are traveling direct to Jeddah, you will assume Ihram before you board the plane other wise you enter Ihram at any transit stop enroute to Jeddah. Your group leader will advise you about it. You will have lots of help from your fellow hajjis, or your group leader who accompany’s your group. Develop humility and the highest degree of patience. Dont shout Do not liter at airports or spill water in Toilets or try to impose to other that you are VIP In Allah’s house everyone is VIP. Some of these old humble poor people around you may be a lot closer to Allah than your royal highness. So become a kinder, gentler person at during hajj and umrah and try to keep the same spirit forever. Once inside Saudi Arabia, expect delays from the airport to your hotel and do not look or feel frustrated, angry and take it out on your group leader. He has no control over the local entrants no matter what you paid. Perform 2 rakats of Salaat-al-Tawbah (repentance of the past bad deeds). Be conscious of doing good deeds always. Understand tawheed and behaviour in it. People from all over the world and different backgrounds will be there. Do not engage in meaningless arguments and quarrels. Give others preference over yourselves. Seek forgiveness immediately should you hurt or offend anyone. If you wish to express your dissatisfaction write a detailed letter to your tour operator and make suggestions on how to improve services. Make extra copies of your passport, visa, tickets and the traveler’s cheques. Take one set with you and place it in a separate location along with a couple of identification photos. Leave an extra set of documents at home. Do not carry all your money with you; place your money at different locations on yourself. This is a precautionary measure. Special Note: In case your tour operator has arranged for private buses for transportation during the entire trip, you should be refunded for all your transport vouchers attached in your passport before you leave Jeddah Airport. Ask your tour operator about it. Nobody can cash it for any reason or pretence except you. Call the airport beforehand to find out the status of your departure flight. You will be waiting in the arrival halls until your turn comes. These halls have no facilities except washrooms, wudu areas and drinking water. It is going to be approximately a 4-6 hour wait, depending on the date and time of arrival. Eat the snacks you have packed in your carry-on. Your baggage is your responsibility. Work on a baggage supervision plan with your group. Stay together. Always keep your passport in your possession. Go to the bank (cubicles) and convert your money into Saudi Riyals. Eat and rest, sitting watching your luggage. You may shop for your needs in these malls. When the bus arrives at the platform, enter your bus and sit in your seat. Luggage will be handled by the airport porter and loaded into the bus. All your passports are with the bus driver. When you enter Medina, the bus goes to the Muallim’s office where your passports will be deposited and receipts will be given to your group leader. Every Hajji will receive a wrist-band and the Muallim’s address card. Next, your bus will go to your hotel for accommodations according to your Hajj package. 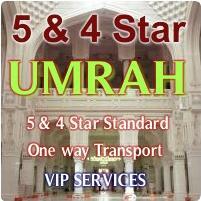 Once you have unloaded your luggage, assigned your rooms, rested and refreshed, you are ready to do Umrah. 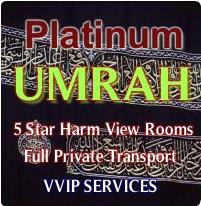 Your group leader or accompanied religious scholar will brief you on how to perform Umrah. You will then be lead to the Masjid Al-Haram. After arriving to your hotel room, freshen up, eat some food if hungry and leave for Masjid-e-Nabawi. In the masjid, pray 2 rak’ah Tahayyah-tul-Masjid and recite durood on the Prophet (saw). Spend as much time as possible in this masjid to do Salah, durood-e-Ibrahim, dhikr of Allah (swt) and study the Quran. Additionally, you may offer salaam (if possible after every salah) and durood. If you are in Makkah, take a shower and put on Ihram and make the intention for Hajj and say Talbiya as you did for Umrah, observing the restrictions of Ihraam. Those coming from Mina, enter the state of Ihraam in Medina or Dul Hulaifa making intention for Hajj. Say Talbiya and start observing Ihram restrictions. All hujjaj in ihram from Medina, Makkah or from anywhere proceed to Mina arriving before noon on 8th of Dhul HIjjah. You will stay over night in Mina. Some pilgrims may do these prayers at their respective times. Do not get into arguments. Follow your imam. After Zuhr and Asr prayers, eat lunch get some rest and start waqoof Arafat. All will stand in the same location, with the same address, uttering the same words, asking for the same requests and following the protocol He invited to come there and to ask questions. You must produce Khuzoo, Kushroo, Taqwa and Rija’a (hope) - expect only good from Allah (swt) regardless of how meager but must be sincere). Upon arrival in Muzdalifah, after sunset, first pray Maghrib and Isha Salah. Combined and shortened. Combine 49-70 pebbles to throw at Jamarat on 10, 11, 12 & 13th. First, go to Jamarat site with your group, throw stones at the last Jamarat only and return to the tent. If you have purchased Qurbani vouchers, assume Qurbani is done. Shave your head. Discard Ihram, take shower and come out of Ihram. Put on regular clothes. After that, go to Makkah, with your group leader. 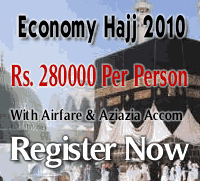 Perform tawaf of Hajj followed by Sa’ee and return to Mina and spend one night in Mina. On 11th, 12th throw pebbles on the three Jamarat – 7 pebbles each, any time after zuhr salaat until late evening. If you are in a hurry, you can return to Makkah on the evening of the 12th day. Otherwise, stay until the 13th. Leave Mina after throwing pebbles after Zuhr salat. When you have returned to Makkah, perform a farewell tawaf before returning to your country. If you have not yet visited Medina, this is the time to go to Medina after farewell tawaf.